Pentachlorophenol (PCP) bioremediation by the fungal strains amongst the cork-colonising community has not yet been analysed. In this paper, the co- and direct metabolism of PCP by each of the 17 fungal species selected from this community were studied. Using hierarchical data analysis, the isolates were ranked by their PCP bioremediation potential. 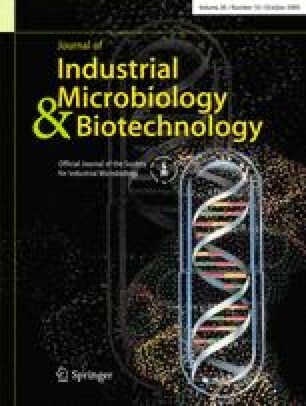 Fifteen isolates were able to degrade PCP under co-metabolic conditions, and surprisingly Chrysonilia sitophila, Trichoderma longibrachiatum, Mucor plumbeus, Penicillium janczewskii and P. glandicola were able to directly metabolise PCP, leading to its complete depletion from media. PCP degradation intermediates are preliminarily discussed. Data emphasise the significance of these fungi to have an interesting potential to be used in PCP bioremediation processes. M. B. Carvalho and I. Martins have contributed equally to this work. MBC is grateful to FC&T for the fellowship SFRH/BD/18205/2004. The work was partially supported by FC&T (POCTI/AMB/57374/2004 and POCTI/QUI/56229/2004) and by NATO (ESP.MD.SFPP 981674). The authors wish to acknowledge M. Carmo Basílio and Dr. M. Vitória San Romão for providing the fungal strains used in this study.